As of 11 a.m. on Wednesday morning, there’s been no official confirmation that Michael Jackson’s body is coming home to Neverland Ranch in the Santa Ynez Valley. But that hasn’t stopped the rumor mill from churning. 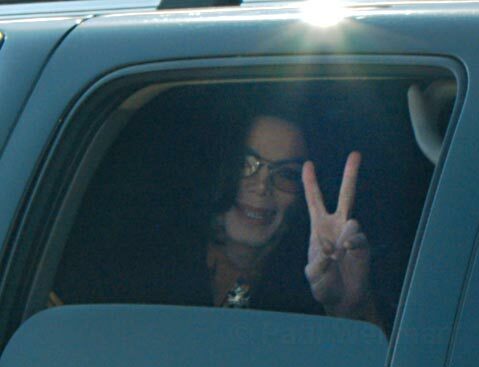 Among other unconfirmed reports, the Jackson family will be leading a motorcade that leaves the Los Angeles area around 11 a.m. on Thursday, July 2, and heads up Highway 101 and over Highway 154 to the ranch, which is located on Figueroa Mountain Road a few minutes outside of Los Olivos. That would put a slow-moving caravan – and its certain traffic congestion – into the Santa Barbara area around 1 p.m., but neither the California Highway Patrol nor the County of Santa Barbara has any official word on this possibility. As well, the Los Angeles Times is reporting that the family wanted to have Jackson interred at the ranch – which perhaps explains the cement trucks entering the gates over the past couple days – and that Governor Arnold Schwarzenegger had offered to clear any logistic hurdles to getting that done. But, according to the Times, Santa Barbara County officials couldn’t make it happen on such short notice. State law makes it illegal for someone to be buried anywhere other than a cemetery, unless a special permit is acquired. With so much smoke, there’s expected to be at least a little fire, so the media masses are already descending upon the Neverland area, and area hotels – and even private residences – are opening their doors to MJ fans. Already on the Santa Barbara’s Craiglist page, more than 20 listings are being offered to fans who are coming. Rooms at the Quality Inn on De La Vina Street have skyrocketed to $400 a night. Check out the Craiglist page here. And today, Michael Jackson’s will was released. It can be viewed here. Among other interesting tidbits, the document explicitly blocks his ex-wife Deborah Rowe from any of his estate and names singer Diana Ross as the protector of his children if his mother Katherine Jackson is unable to care for them.